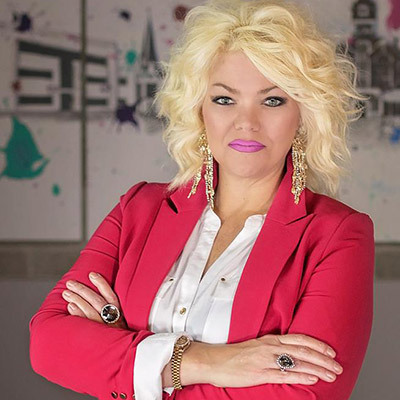 Stacy Snapp-Killian is an entrepreneur, author, hairstylist, and public speaker. She holds an impressive resume as a recognized member of The Women’s Leadership Movement and is a Professional Leadership Developer. Known by many as celebrity hairstylist, StacyK, her clients span from A-list celebrities, Emmy-Winning Producers, and Top CEO’s of fortune 500 companies. Stacy is the Founder of JustUS® a for-profit organization, “We unite informative, inspirational individuals who are survivors of sexual abuse and bring awareness to sexual abuse suppression. Stacy has volunteered thousands of hours mentoring adult survivors of sexual abuse, and she has empowered hundreds of men and women to share their story. Through this process, she has authored two books, Be Beautiful Being You, and her most recent release, The Ten Character Commitments. She inspires adults to live their truth through her Ten Character Commitments. Stacy has been active in mentoring women since 2010. She is a public speaker and lecturer for beauty schools, women’s groups, and retreats. Her public speaking includes a broad range of topics including; Matthew 7:7, Faith vs. Fear, Your Brand is Your Bond, and The 5 Keys to Becoming a Successful Hairstylist. She takes the stage each year as an emcee for charities, women’s groups, beauty pageants, and awards shows, and has raised over half a million dollars for these nonprofits and organizations over the past seven years. As an entrepreneur, Stacy created the Ten Character Commitments more than twenty years ago, after admitting to a counselor she was sexually abused when she was nine years old. A survivor of suppressed sexual abuse herself, it is Stacy’s mission to continually impact the lives of millions. In 2017, JustUS® was recognized as the first and only multi-media company in the world created for television and Internet, the entertainment headquarters for survivors of sexual abuse, via website and web pages that provide online and network-affiliated interviews with individuals, celebrities, athletes, politicians, and other noteworthy survivors. Entrepreneur Magazine, “The 4 Changes That Won Me $2 Million” by author Sumi Krishnan of K4 Solutions, 2016, featured Stacy’s advice for women building a business. FOX News website, 2016, “The 4 Changes That Won Me $2 Million” by author Sumi Krishnan, featured advice from Stacy for women in building a business.